I am a Forex trader. Three years ago, I started my journey spending funds trying to learn how to trade. I progressed to pouring money into the market – eventually swapping money in and out of my account with a broker. 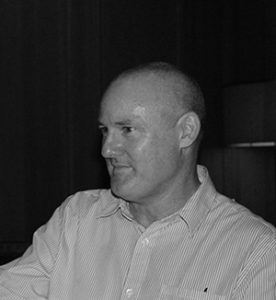 My name is Scott Heywood, and all this started in Brisbane Australia. Following my thirst for forex knowledge, in time I achieved my goal of extracting regular and consistent profit from my trading account. In May 2016 I was fortunate enough to finish up with my day job and support myself through trading. “tenfortyone” trading is my attempt to help others who are similarly interested in trading for a living. 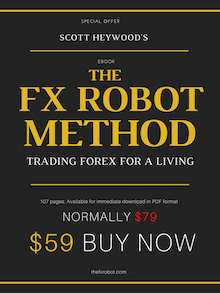 I’ve also published The FX Robot Method – Trading Forex for a Living – for anyone who would like a more detailed explanation of how I reached my current position. My office is now anywhere in the world I want it to be, and my closest work colleagues are robots. Humans remain my favorite companion over a cold beer or game of golf, which are two activities I still don’t do enough of.